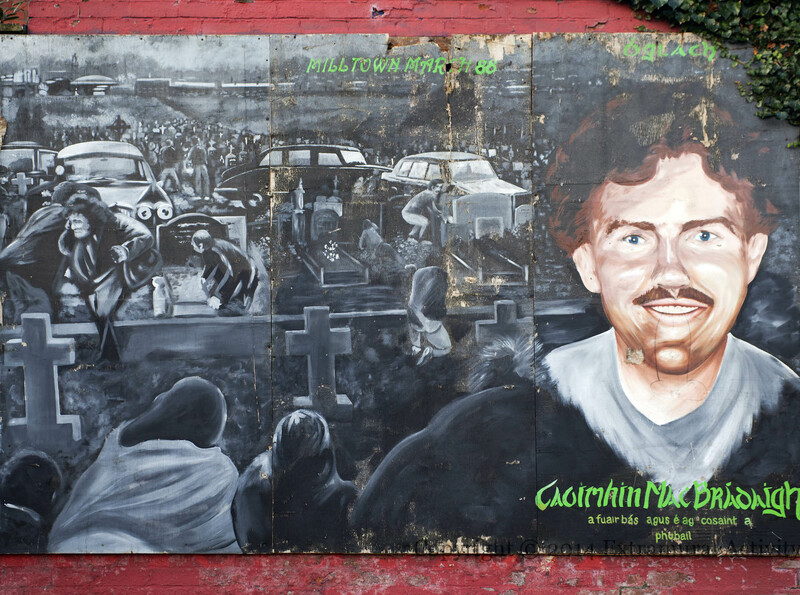 The board above commemorates Caoimhín Mac Brádaigh (Kevin Brady) who was one of three people killed in Milltown cemetery by Michael Stone in his attack at the burial of the ‘Gibraltar 3’. This board is in the South Link (originally it was on the Andersonstown Road), a short distance from where Corporals Wood and Howes were killed during Mac Brádaigh’s own funeral, three days later (1998-03-19). For information about the photograph on which the image is based, see 25 Years – In Progress.